If you missed my talk at TypeCon in July, you’re in luck! I’ll be giving another dog and pony show to the local Graphic Artists Guild chapter in downtown LA on the evening of October 23rd. I’ll be talking about what inspires me by discussing the creation of the Guild’s logo, the design of the new Canter’s Deli Food Truck, and Alphabet Soup Type Founders. All are welcome—Guild and Non-Guild members alike! 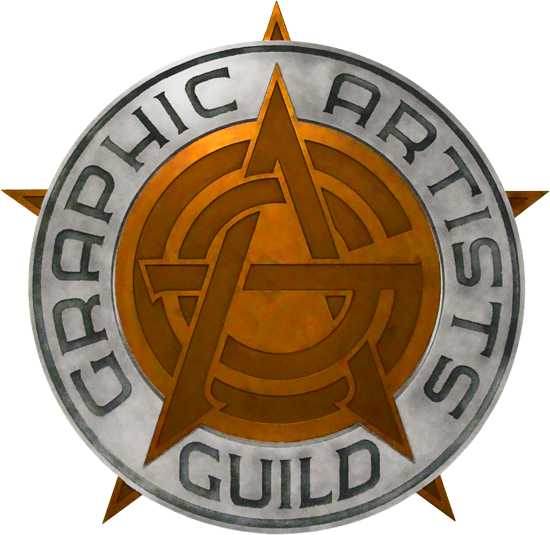 Check out the particulars on the Graphic Artists Guild /LA website. Thanks John for the very kind words. That’s a lot to live up to! I just hope everyone enjoyed the talk, and got something out of it. What an evening of inspiration!!! Michael Doret is an icon of graphic design and one more jewel that makes Los Angeles a great place to live. If you had the pleasure of seeing Michael’s presentation for the Graphic Artist Guild, then you saw an artist and a designer who is truly authentic in his design and in person. What was most interesting about his talk is that Michael shared the process he went through in designing the Cantor’s Deli Truck and the creation of the deli script font. The level of craftsmanship that goes into his work is so refreshing and inspiring to see in this day. His presentation makes you appreciate the process of design and the abundance of hidden jewels, such as the Cantor’s Deli signage, that exist here in Los Angeles. Someone in the audience (who is not a designer) asked me what sets Michael apart from other designers and the answer was easy. It is Michael’s ability to “illustrate” with his type in addition to his ability to illustrate and create images. Thank you Michael for the inspiration! You are the man for all seasons!